Mrs. Abigail Fisher, the South's Esteemed First Lady of Letters, is in a rut. Her writing career has collapsed, and she has become an embittered old woman living alone in a dilapidated house in Georgia. Only she's not as alone as she thinks. 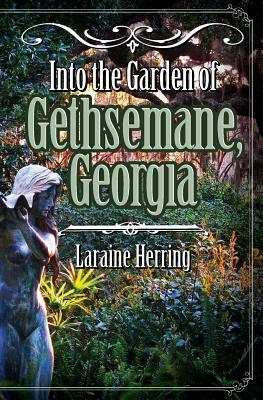 One of her characters, Pistachio Simmons, who had been cut from Mrs. Fisher's best-selling novel, The Garden of Gethsemane, Georgia, has returned to demand she be given the storyline she deserves. After Pistachio starts a fire in the kitchen, Mrs. Fisher is forced to summon her estranged daughter, Elise, back home. When Pistachio finds the deleted pages from her book, she begins to create her own chapters separate from the ones her author had given her. As Pistachio flourishes, Mrs. Abigail Fisher fades, and mother and daughter are forced to confront the failed plotlines of their own lives, including the one they've tried hardest to ignore-the story of the ghost-girl in the garden. Part magical realism, part meditation on the creative process, part old-fashioned ghost story, Into the Garden of Gethsemane, Georgia opens up the reader to the intimate world of a writer and the characters, real and imagined, who haunt her in the night. Laraine Herring holds an MFA and an MA and directs the creative writing program at Yavapai College. Her work includes the novel Ghost Swamp Blues and Writing Begins with the Breath. She also teaches at the Kripalu Insitute for Yoga and Health and online at DailyOm.com. She lives in Prescott, AZ with four beautiful orange cats and whatever ghosts happen to be currently speaking. Visit her at laraineherring.com for updates, newsletters and more.